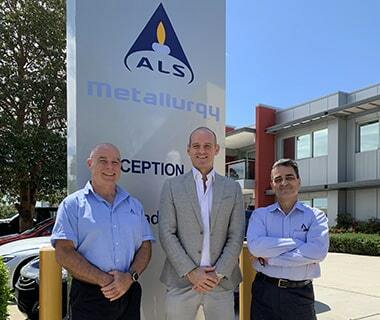 Matec Pacific (MATP) is proud to have finalised an Alliance Agreement with ALS Metallurgy Services (ALS) for the provision of a skid mounted testing unit to be used during ALS metallurgical testing campaigns. “We are excited about this opportunity of collaborating with Matec Pacific towards conducting testwork programs associated with their testing equipment. ALS Metallurgy has similar collaborative agreements in place with other speciality equipment manufacturers, and is confident that this agreement will benefit ALS testwork towards the design and optimisation of the filtration stages of mineral and metallurgical process flowsheets for various metals and commodities”. The Alliance formed is based on trust, commitment and the attainment of goals and objectives to bring together a unique combination of capabilities to link the resources, technology and equipment for the benefit of both MATP , ALS and all their Customers. The Test Unit will be commissioned in due course of the next few weeks and will be then operational at ALS facility in Balcatta (WA).